Incorporating all of the best qualities of our Vinyl Paint while offering several additional advantages, Electreflect’s transparent coatings advance the state of the art with eight exciting colors. These finishes provide brilliant fluorescent colors when used over a white base coat, or allow the beauty of highly reflective, “mirror-like” surfaces to shine through. Electreflect Paints also dry to a high gloss, cutting costs by eliminating the need for clear top coats. 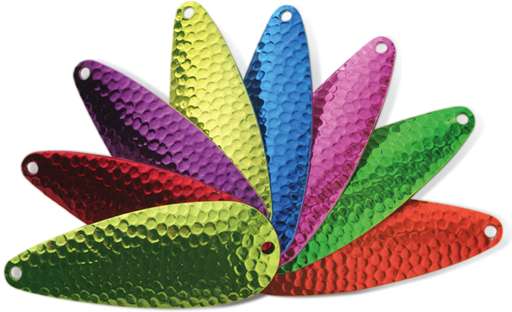 If lures are to be used with plastic soft baits, use CS Coatings’ Epoxy Top Coat to “worm proof” the lures. Available in pints, quarts, gallons, and 5 gallons.